The striking design brings back memories of the large turn of the century New Jersey boardwalk hotels. Each unit will have an open floor plan consisting of three bedrooms, two bathrooms, living and dining areas, as well as a 200 square-foot private deck. Designated parking and 10 x 15 private storage units are included with each unit. Purchasing a new home can sometimes be a daunting task. "Base Pricing" commonly offered in many new communities can often be a trap. We have taken the guesswork out of purchasing a unit at ABC. Both our Windward and Leeward models, each approximately 1300 SqFt, come with significant upgrades and have great floorpans. Whether the north or south building is your preference, first floor units are priced at $639,000, second floor $689,000 and the third floor units, which have 12 foot vaulted ceilings price in at $739,000. Washers and dryer's and ceiling fans are provided by purchaser and installed by us. Simple pricing and simple decisions. Yes, upgrades are available. Stop by our office at 256 W 9th Street inside Beach House Realty and meet Nick or Caitlin. They will be glad to walk you through the features of ABC. A strong and financially sound homeowners association is the key to maintaining the value of your investment. 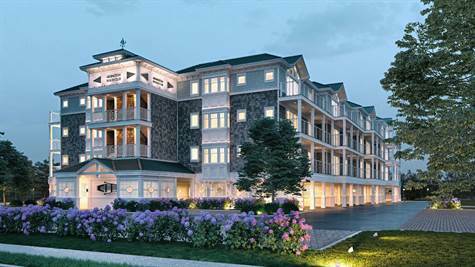 HOA fees at Arlington Beach Club are estimated to be approximately $723 per month. This amount does include your water and sewer fees, flood and property insurance for the entire complex as well as trash pick up and snow removal during the winter months. The town of Ship Bottom offers some of the finest guarded beaches on Long Beach Island. If it's a day on the bay that you prefer, there are numerous local businesses that rent boats , jet skis , paddle boards and more. Numerous access points to the bay make it super simple to enjoy a day on Barnegat Bay. Please complete the following form for more information or schedule a showing.